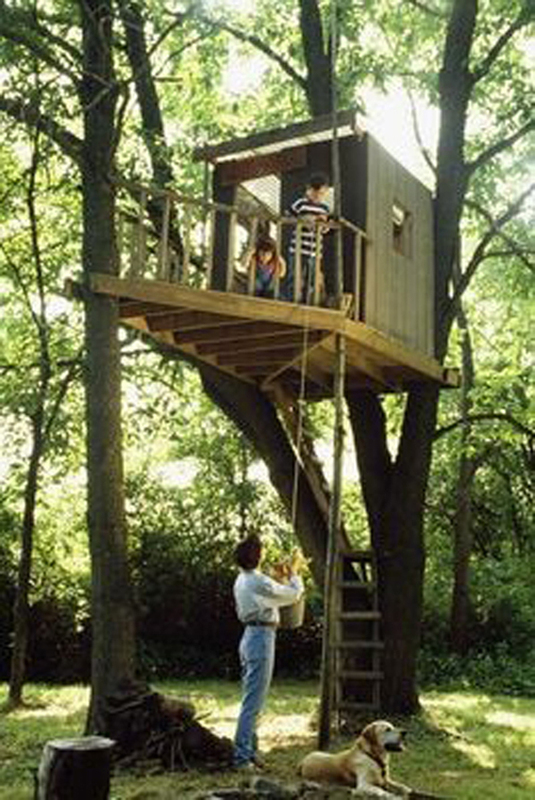 A very simple treehouse with all the comforts for two kids. A treehouse between two trees where a platform is the basis for the house and it’s the floor for the balcony, that follows the architecture of the trees. Like in almost all the kids’ treehouses, no adults are allowed to go on the treehouse. The only contact with the strangers is a chest with a rope! This could be a good example for many people who have just two trees!